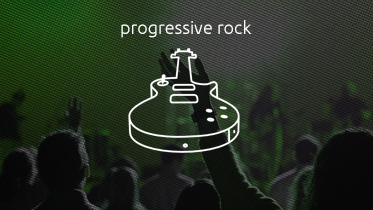 Progressive rock (shortened as “prog”; sometimes “art rock”, “classical rock” or “symphonic rock”) is a broad sub-genre of rock music. Progressive Rock developed in the United Kingdom and United States throughout the mid to late 1960s. Initially termed “progressive pop”, the style was an outgrowth of psychedelic bands who abandoned standard pop traditions in favour of instrumentation and compositional techniques more frequently associated with jazz, folk or classical music.